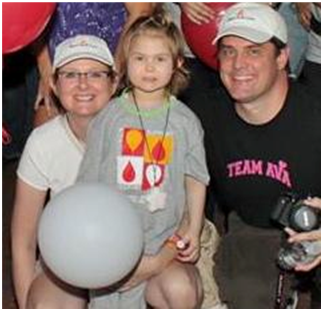 One of our patients has a young daughter who was diagnosed with Acute Lymphoblastic Leukemia in 2011 at the age of 2. She completed her chemo treatments this year and is now enrolled in Kindergarten! WhoHoo!! We are so happy for her family. They have created a team to honor their beautiful and courageous daughter in the Light the Night Walk, a fundraising event to find a cure for Leukemia. We were honored to support her team last year, but we are thrilled to do so this year as her treatment is complete — she will be walking as a SURVIVOR!! The Light the Night Walk is Friday, October 17, at 5 pm, in Reston Town Center. If they reach their fundraising goal this year, they will have raised $20,000 over three years! Their motto is, “When we walk in the walk – CANCER RUNS! !” If you are able to help this wonderful cause, please consider doing so. Thank you!